Five Walthamstow reservoirs have been transformed into the biggest urban wetland in Europe, to create a haven for wildlife. The painting acts as its gateway, on Coppermill Lane, London E17. 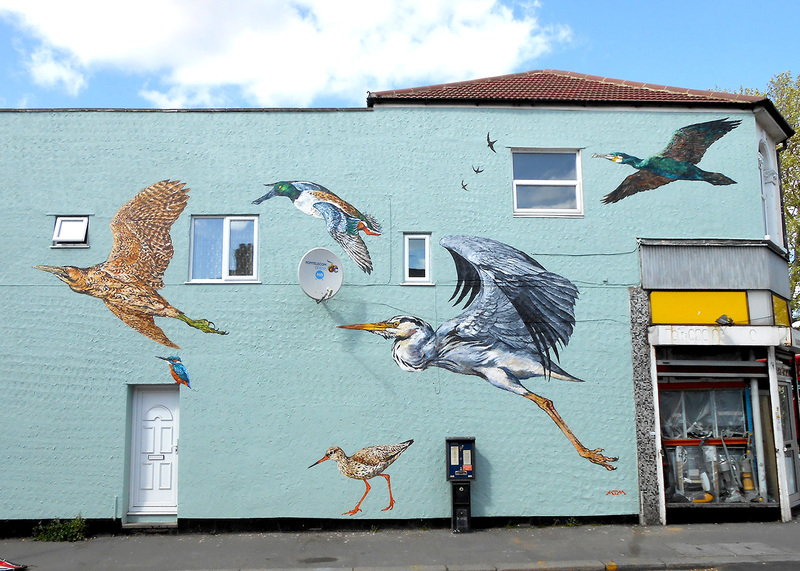 There are seven species of bird portrayed on the wall- bittern, kingfisher, shoveler, redshank, heron, swift and cormorant. All these species and more will use the wetlands as a place to nest or as a valuable stopping-off point to feed and rest on their migration journeys. Many thanks to St. James Big Local.